Last year, right around this time, we took a look at a company called Optimal+. They were harvesting reams of semiconductor test data so that analysts could rummage through, looking for clues to manufacturing tweaks that could improve yield or throughput without compromising quality. With latency of up to around 10 minutes, it provided something close to real-time feedback. And any new learnings could be tested on mounds of historical data to see “what would have happened” had the new rule been in place. If good things would have happened, then they could immediately roll the new rule out. So you launch in the direction of the next obvious step up the food chain: circuit boards. Or further yet: systems. Same as chips, right? Just on FR-4 (or whatever) instead of silicon. Right? A little bit right maybe? No? And so Optimal+ has announced Global Ops for Electronics. This is not an extension of their semiconductor product, but is a completely separate offering. Optimal+ uses the term, “electronics,” which slightly confused this literal engineer. After all, if anything is an electronic item, it’s a semiconductor, whose only moving parts are electrons. But no, in this case, the word “electronics” refers to systems that use electronic components… um, no, that’s not helping. Heck with it; turn off brain and accept that “electronics” means systems, and chips are but inputs to the system. Whereas the semi version focuses on test and yield, Optimal+’s version 6.5 also looks at quality and reliability – and return material authorizations (RMAs) are a good proxy for how you’re doing out there (and likely an underrepresentation, since not everyone goes through the hassle of a return). So now, Optimal+ gives access to the entire manufacturing history of the system for use in analyzing trends. “Genealogy” is a big part of this – tracking which version of a flow or test program was used and how many rework cycles a system had. And, in a wrinkle that’s distinctly different from semis, it includes which contract manufacturer (CM) was used. Semis are certainly built by contracted foundries, but it’s much less common to have a single chip sourced from multiple foundries, since designs are generally optimized for a target foundry’s proprietary process. With mechanical assembly, however, using multiple vendors is common, so that adds a new parameter to a system’s history. Their first offering in this area, called Global Ops for Electronics, targets yield using assembly house data. In the last quarter of this year, they’ll follow that up with tools for managing new product introductions (NPI) and production ramp-up. 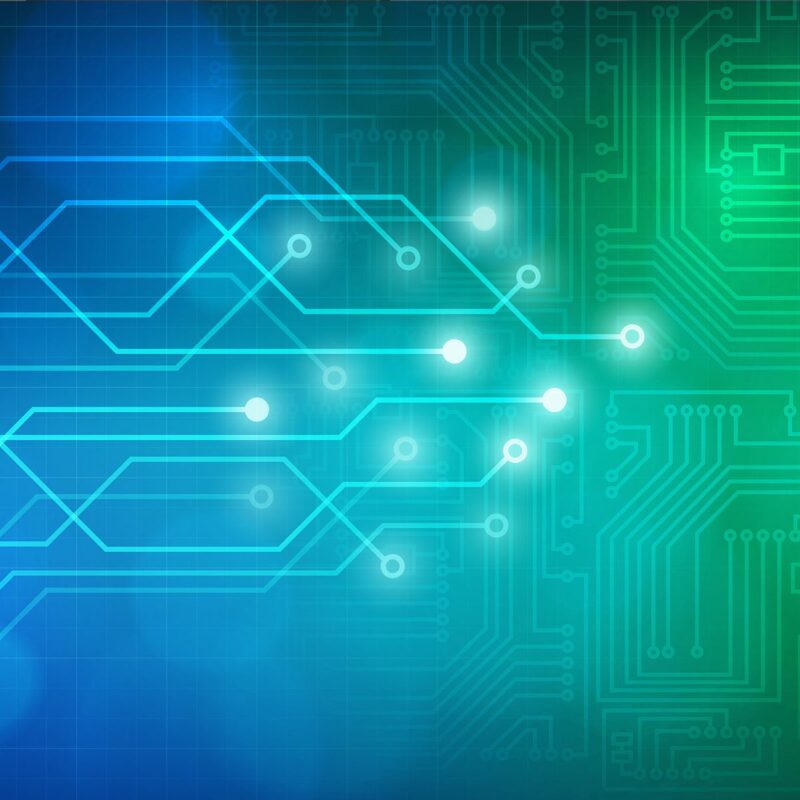 Right now, the traceability stops with incoming components, but in the future, a connection to Global Ops for Semiconductors will provide access to semiconductor data history as well. 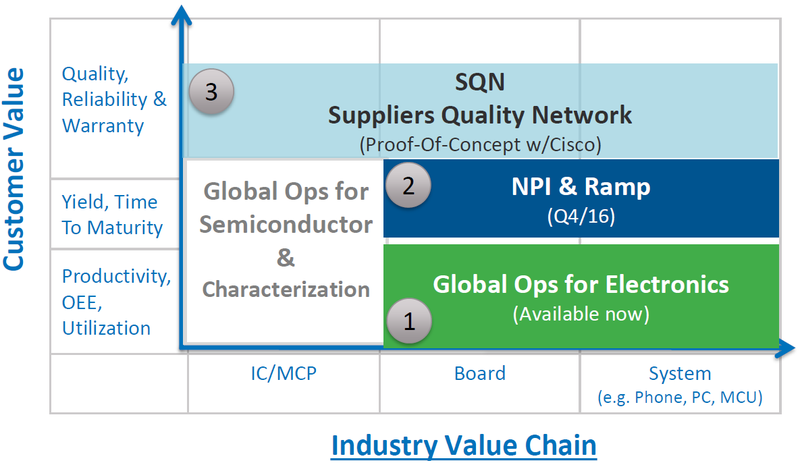 This connection is referred to as the Supplier Quality Network, and it’s still in early stages. For now, Global Ops for Semiconductors and for Electronics remain distinct, disconnected products. One of the new angles they’re working aims to reduce expensive returns. Given the genealogy aspect, any return can, in theory, have all of its individual paperwork examined to look for early hints that there might have been a problem. For instance, some parameter might have been within limits, but only just – the tests passed, but then the system got returned. So a tighter test limit might result from such an “aha” moment. Machine learning generates many of these “ahas” by correlating outcomes with production statistics. It may take many, many samples before a trend becomes evident, so, by definition, this approach requires tons of data – not just current in-process data, but also historical data. Exactly what that data is and how it’s represented will vary by manufacturer. So adopting Optimal+ means working with them to stitch the specific flow together. And, to be clear, it’s the OEM that’s in charge here, not the manufacturer, even though you need the cooperation of any and all CMs in your flow. In fact, that raises a tricky issue with the data: isolation. The OEM wants to see all data from all CMs, but the CMs don’t want other CMs to see their data. So each CM has its visibility limited to itself – they can see their own data, but not that of their competition. Only the OEM gets to see the whole shebang. There’s one other future aspect to this tool: including in-use data in the history. What if users are “doing it wrong?” Or what if it turns out that humid days cause increased failures? Wouldn’t it be great to know that when trying to sleuth out causes of failure? What about reminding users about preventative maintenance (PM)? Well, that’s where we get into some murky waters. Folks are (not unreasonably) queasy about being tracked. So learning that every move they make with their gadgetry is being sent to Headquarters might not be welcome news. I have to confess to having written off such concerns about deep data mining a decade or so ago to the conspiracy crowd; revelations over the last years have proven me wrong. A legal framework of what is and what isn’t OK. Presumably, user anonymization, although it’s never been clear to me how a company can prove it’s doing that (a single programmer or analyst could so easily violate the best of corporate intentions). Assurance to users that the data gathering will be under user control. There’s no question but that this additional data would add incredible richness to the kinds of analysis that Optimal+ provides, but our entire industry has some work to do before the public will be ready for that. What do you think of Optimal+’s big data approach to board and system manufacturing?